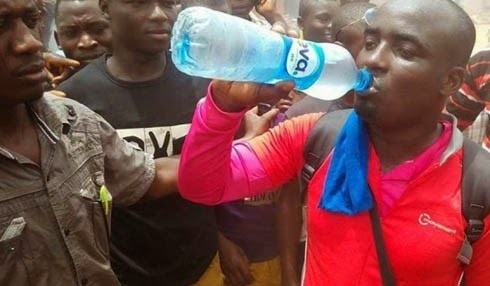 Suleiman Hashimu who promised to trek from Lagos to Abuja if Gen. Buhari wins the 2015 Presidential election, arrived Abuja on Monday after trekking for 19days. 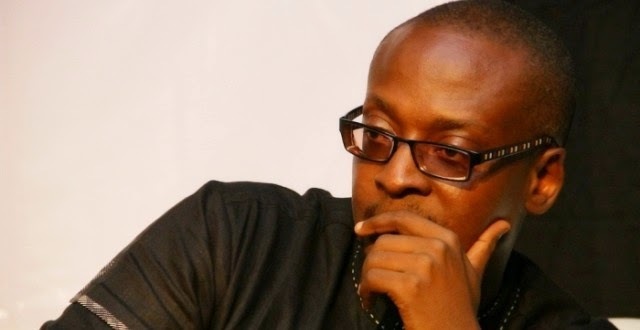 Charles Novia obviously didn’t believe Suleiman Hashimu. He said, I have my reservation on the 19 days Lagos to Abuja trip though. If it takes 9hrs for a car, how can it takes a man 19 days? ‘The Traveller,’ as he is now been called, had vowed to walk from Lagos to Abuja if Muhammadu Buhari won the 2015 presidential election. Hashimu arrived Abuja Monday evening after trekking for over three weeks. Hashimu, a native of Katsina State, said he was in Lagos when Buhari was announced the president-elect of Nigeria, so he left Lagos at about 5am the next day and arrived in Ibadan around 6pm. Narrating his ordeal to newsmen upon his arrival in Abuja, Hashimu said he had gone to get a police report at Ibadan to allow for an unimpeded journey, but that as he could not wait for the processes to be completed, the divisional police officer (DPO) gave him his phone number. The journey man said when he first embarked on the journey, many persons discouraged him, especially family members but he never gave up. He told journalists that in Ilorin, people accompanied him for several miles until he stopped at Oloru, where he received much hospitality in Jebba. He said unlike other villages, he met people who had heard of him. He further explained that about 20 people set off with him from Jebba and after some miles, 18 turned back, but the other two were more strong-minded and followed him. The Traveller narrated how they encountered armed robbers close to Mokwa, but that, fortunately, he had already met one of them in Jebba and the would-be robber ended up giving him N200 for ‘pure’ (sachet) water. Hashimu said he continued his trip from Mokwa to Kudu, then from Kutigi to Bida, and then to Suleja, after which arrived in Abuja yesterday. Upon his arrival in Abuja on Monday, many residents were already waiting to receive him. When residents of FCT saw him, the chorus of Sai Buhari rented the air. Unconfirmed report said a top politician had already paid for a room in Transcorp Hilton where he would lodge.